This was along the lines of how my dear friend David greeted me when I met him recently wearing this jumper. And true enough – it does bear a strong resemblance to the static noise that filled the screen after the watershed was over and before the early morning cartoons began. Or if the TV aerial had been blown down in a particularly dramatic storm. Oh, nostalgia for an information age before 24 hour programming, multiple channels, and indeed the internet. Apparently young David would often sit watching this static noise waiting for his favourite cartoons to come on, so cute! When I picked this grey thick Raf Simons knit up in November at the Fabric Sales just outside Leuven I didn’t see any TV test screens however, all I saw were some abstract cloud patterns. 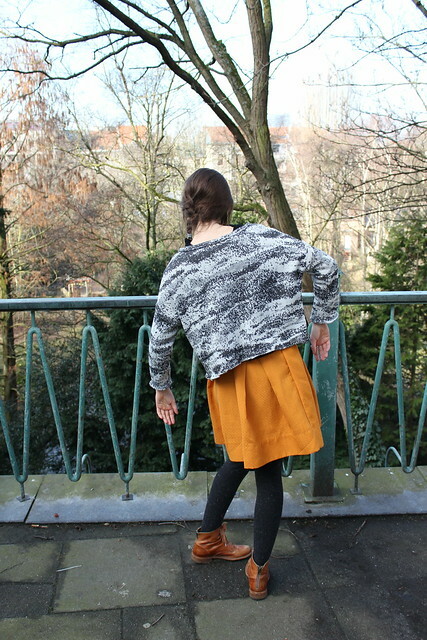 And heading back to Brussels on the train I started to picture a slouchy jumper – and I’m happy I managed to make it pretty much how I pictured it in my head. 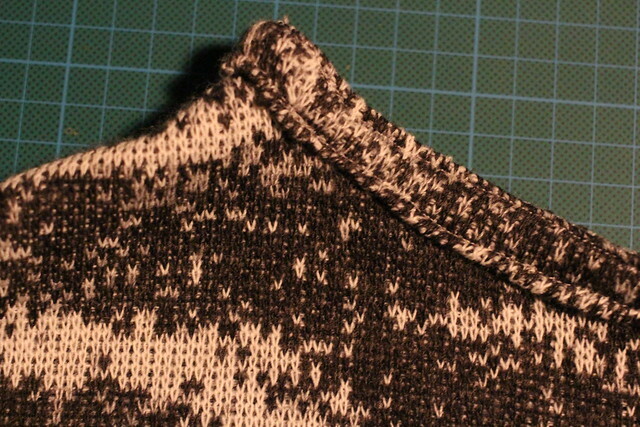 To make the pattern I rubbed off an H&M jumper I own that I love the style of. The original jumper is longer than this one, but I wanted a shorter style to wear with skirts. On the left is the front and back pieces which are cut on the fold. I made them both the same size so there is no real front or back to this jumper. On the right is the sleeve piece which starts half way down the upper arm. Step 3: Sew side seams and sleeve seams together in one fell swoop. 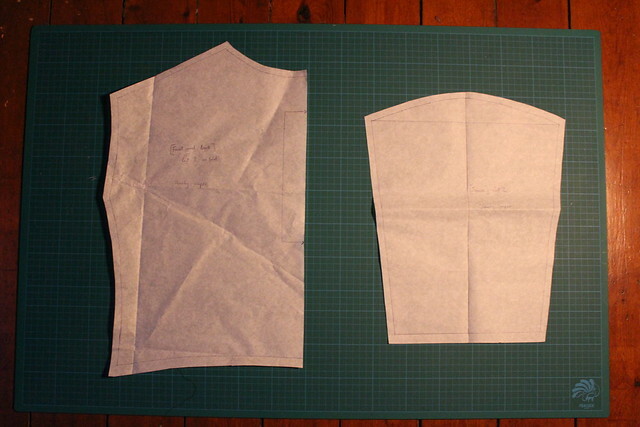 Alternatively you could do the neckline first before the front and back pieces are joined. I finished my neckline with some makeshift ribbing from the fabric. It’s not perfect and I’m not sure how it will stand up to wear and tear. The ribbing might also look nice turned to the inside. I’ve got loads of this fabric left so I’m going to have another go at it in any case – perhaps in a slightly longer style or with a raglan sleeve, or a classic sleeve. Tilly recently posted some tips on using the Coco pattern to sew a jumper so that could be another good pattern option for this fabric. I sewed the seams on my sewing machine and finished them on my overlocker. The twin needle was used for top stitching the cuffs and hem. Before I hemmed it the fabric sat nice and flat but after hemming it kind of puckers. It’s not really a problem for this style but it would be nice to know how to avoid the puckering if possible! 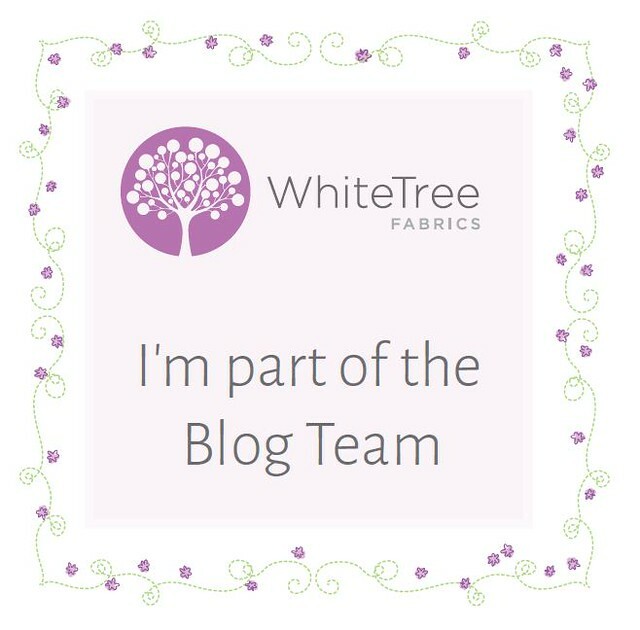 Maybe it just needs a good press – what do you think? 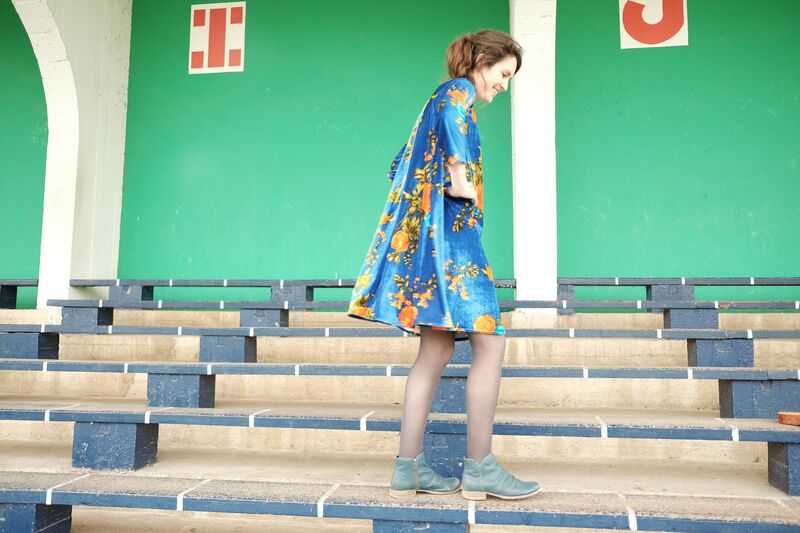 The skirt in these photos was bought at the ‘brocante’ on my street last September. The best thing is that if you see stuff you like you don’t have to carry your finds far to get it home – as well as the skirt I got a mirror, a cupboard, and a rug…probably a good thing it only happens once a year! 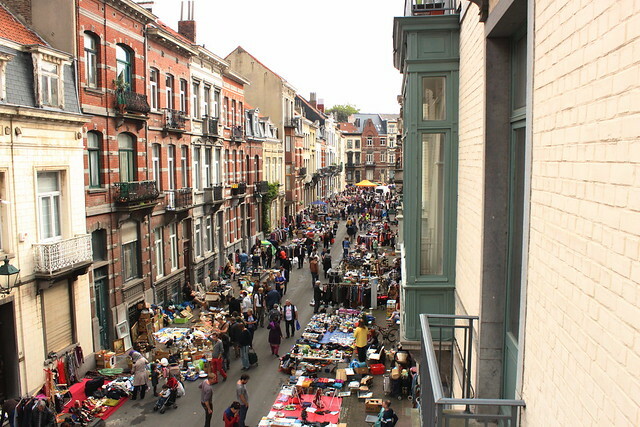 The Ma Campagne market, September 2014. 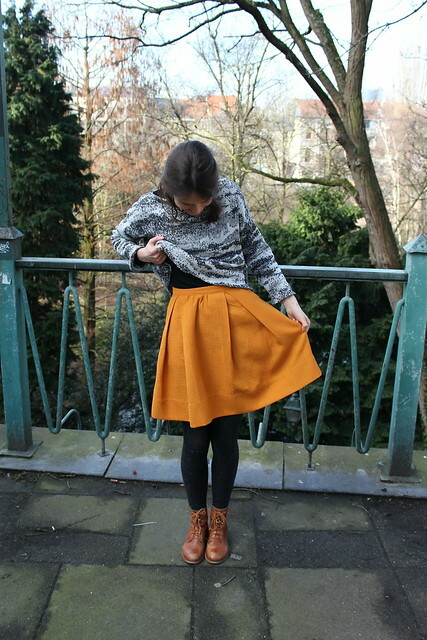 When I saw this mustard yellow skirt (originally from H&M) I was delighted as it looked exactly like my ‘dream skirt’! And for 2 euros, bargain! Sadly it was way too big for me. So I unpicked the waist band and the pleats and recalculated how much would need to be taken out in the pleats for it to fit me properly. I then positioned box pleats accordingly and gathered the rest before resewing on the (now shortened) waistband. I managed to keep as much of the original skirt in tact – the pockets, the lapped zip, the side seams, and the hem. 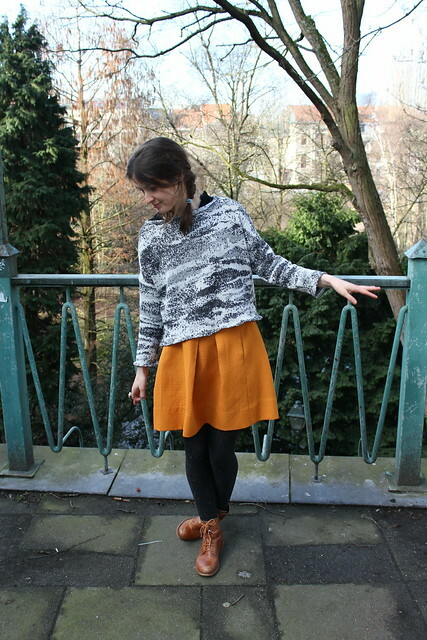 There’s only one snag with sewing a knitted jumper – I feel like a cheat! 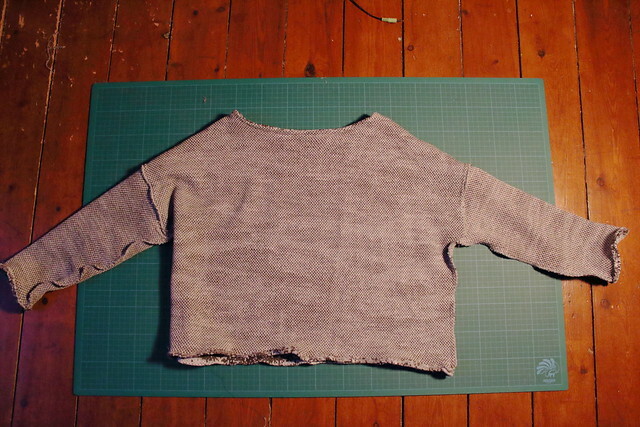 From rubbing off the pattern, cutting out, and sewing, it took me an afternoon – if I was to have knitted a jumper by hand it it would have taken me months! What do you think? Is it ‘cheating’? I don't think that making a jumper from a bought knit is cheating, I think it's common sense. But I'm the slowest knitter in the world, so maybe I'm biased. I love the knit you picked. It reminds me a bit of Japanese Print art, but static noise is also a good contender! That skirt is so pretty on you! Great refashion! Yeah I'm a really really slow knitter. Can't see me ever getting a jumper finished! Oh I'm going to look up Japanese Print art…. Oh nice! I should have done a survey to find out what people see when they see the print. 'Mountains in the fog' is a strong contender for the win I'd say!